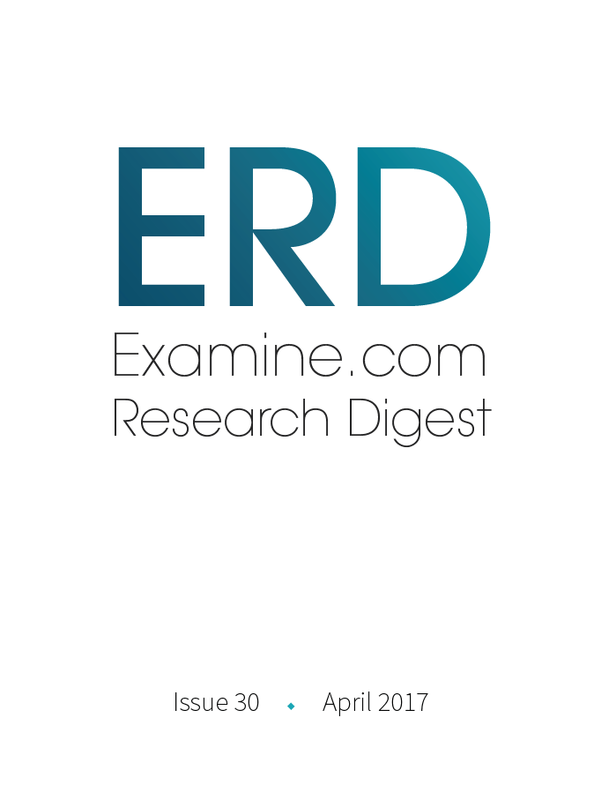 Luis Villasenor has been interviewed in issue 30 (April 2017) of EXAMINE.com’s Research Digest (ERD). In case you don’t know what EXAMINE.com is, let me tell you that it should be your first stop when researching information about supplements and nutrition, as it is an unbiased source of information that investigates and researches independently so there are no conflicts of interest behind. 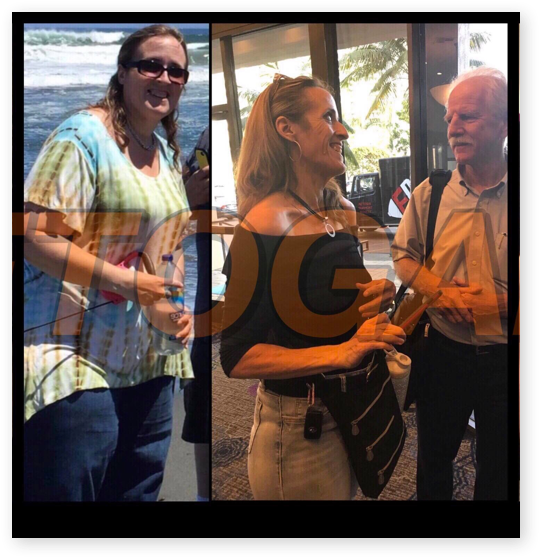 Ketogenic diets (whether of the cyclical, targeted, or sustained variety) have tended to be used in niche cases during the past couple decades. But through Reddit and other avenues, you’ve been popularizing keto for the masses. How did you come to this point? I have always been passionate about fitness due to a personal interest in improving my own physique (I used to be the quintessential fat kid in school). I started Ketogains “officially” over 5 years ago, (despite having been practicing a ketogenic approach since 2001), after becoming dissatisfied with the overwhelming amount of misinformation shared among fitness and low carbohydrate internet forums: sometimes inaccurate, sometimes contradictory, and most of the time, just plain wrong, based solely on anecdotes or misunderstood science taken out of context. It was the usual “it works for me” answer that irked me the most: people that used the catchphrase as a response when I tried to explain why their current approach might not be the optimal for their goals. Due to this, I started to write a comprehensive “Evidence Based” Wiki in Reddit (r/ketogains) which would serve as a guide to help people learn more about a Ketogenic Diet in general, as well as its fitness applications. The site grew from a “FAQ” with a collection of studies and resources, to a full-fledged forum where I was helping people with training, macros and diet advice. Over time, people started to see great results, and the word spread out. I believe part of the success of Ketogains has been, first and foremost, that we are firmly grounded in science, that we are able to translate this science into easily understandable advice that will resonate with people, and that we use a “no BS” approach, where we “say it like it its”, objectively, without bias or emotions. 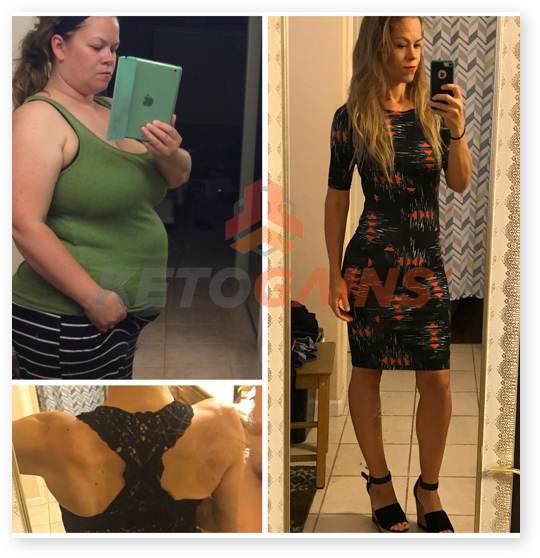 The Ketogains approach is “Educate, Empower, Achieve” – We believe in teaching people the tools that will help them take control of their diet and fitness. People have so many misconceptions about keto dieting, such as being afraid of eating “too much protein” or something else. What do you actually eat, compared to what people assume you eat? And what are your macros like? 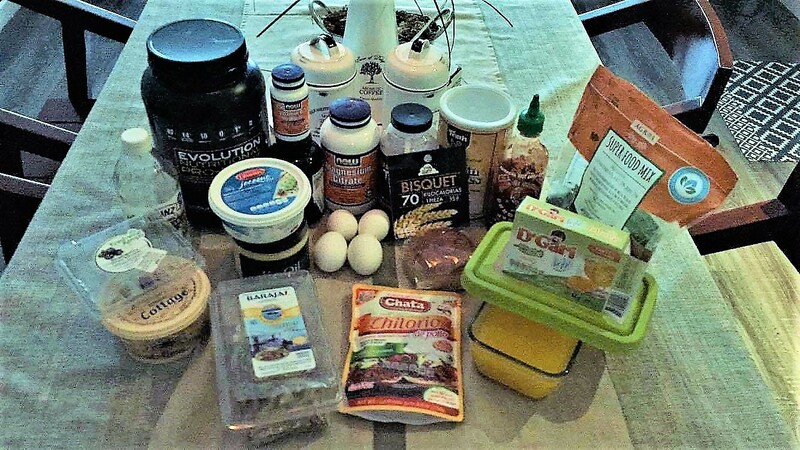 A typical day for me is 3-4 eggs, animal sources of protein (chicken, turkey, tuna, sardines, salmon, beef or pork), I prefer green vegetables (spinach, zucchini, broccoli, cauliflower, chayote squash) although I will also eat mushrooms, tomato, etc. with moderation; and for fats I can add avocado, coconut or olive oils (just enough to cook). I don’t eat cheese or butter on a daily basis, save for Cottage cheese. As you see, I don’t add “globs” of fat to my diet, and I don’t really limit much my vegetable intake: green vegetables are quite rich in vitamins and minerals, as well as fiber, which makes them naturally low in NET carbohydrates. I follow a “nutrient density” approach to food, where I favor whole foods – although I’m not 100% paleo and will also eat / drink processed items such as diet coke on occasion. I like to maintain a “lean” physique all year round, as per my stats (5’6”, 167.5 lbs, at around 10% BF) I aim for 145g of protein, 30 to 40g NET carbohydrates, and fat intake depends on my energy levels and goals: between 70 to 140g a day. 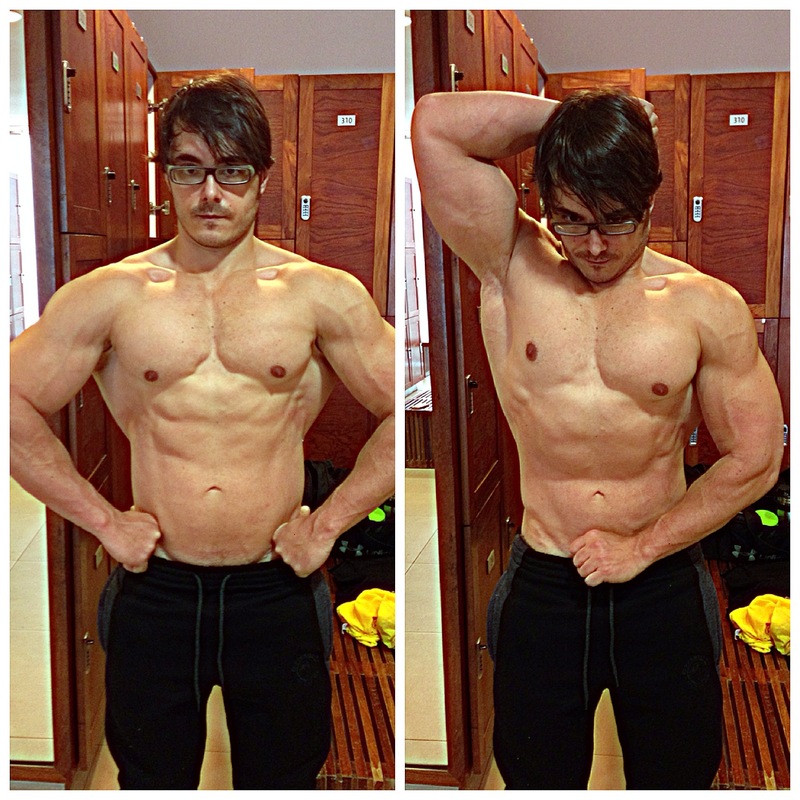 I also Intermittent Fast, eating 1-2 times a day, following a Leangains like protocol. What are some common problems that first-time keto dieters stumble into? 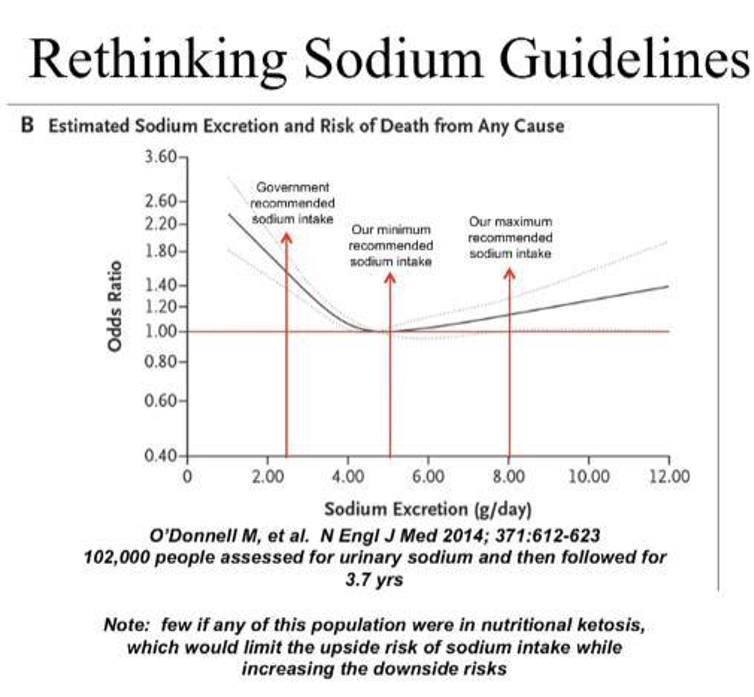 The main issue I see with everyone who starts following a Ketogenic Diet (in any of its variations) is downplaying the importance of electrolytes, mainly sodium. As we know, Ketogenic diets are diuretic in nature, especially during the adaptation process (a ketogenic diet lowers insulin levels and increases insulin sensitivity. Normally, the kidneys tend to store and reuse sodium under normal conditions. When insulin levels are low and stable, kidneys through various hormonal mechanisms go into a diuretic mode, excreting sodium, potassium and water). Because most people come from a diet high in processed food (which is usually high in sodium), and paired with most countries current sodium guidelines where people are told to limit their salt intake; people are either reluctant or dismissive to increase sodium when starting a ketogenic diet. This causes a host of symptoms commonly known as the “Keto Flu”: dizziness, headaches, fatigue, lethargy, cramps, irregular heartbeats. People get scared and think they “need” carbohydrates, and go back to eating them, which in turn “cures them” but also stops ketosis. This “keto flu” can be either prevented or eliminated by supplementing throughout the day with sodium (5g), potassium (1g) and magnesium (300 mg) – as per Lyle McDonald’s suggestions in the “Ketogenic Diet” book; additionally, I would suggest an extra 1-2g of sodium before training, just as Dr Phinney and Volek suggest and which I encourage as well. You’re a good case study for sustained ketogenic dieting supporting a bodybuilding regimen. On the endurance side, there are also many good case studies. But competitive athletes want every edge they can get. Drs. Phinney and Volek have provided some evidence on the “pro-keto” side, whereas recent research has looked at the opposite side. Do you have a view on keto for endurance? 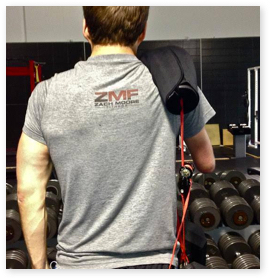 As you know, I favor more so strength based sports (I practice both bodybuilding and powerlifting) which in both my personal experience, as well as with clients, seems to work quite well for ketogenic dieters – with some adaptations, of course, mainly being adequate electrolyte intake and in some cases pre-workout carbs a la TKD (Targeted Ketogenic Diet). Said this, I also know quite a few athletes and researchers that are actively experimenting with the endurance side of low carb, mainly Peter A. Defty who has collab- orated with Steven Phinney in the FASTER study. In this special case, I think we are seeing very promising results, but we still need more information, the actual science on low carb performance is very much still in its infancy. I hope as more research comes along that we can get a more definite answer on who should do a low carb approach, when, and how. I would like to address as well, an issue that seems to usually pop up in fitness conversations: we have people who “hate” on keto, saying that it is useless for sports performance, and then we have the keto-fanatics that tend to exaggerate and attribute the diet magical properties. In regards to sports performance, I agree that carbohydrates have a positive effect in performance, there is no way of denying that… however, the real question would be, “how many” does one actually need. When speaking about needing carbs for optimal sports performance, trainers / researchers usually speak in “absolutes” and their target audience is not usually well versed in applying context. Of course an Olympic-level athlete will need an incredible amount of carbohydrates to sustain his training and recover properly. But, we forget that most people are not Olympic level athletes. An overweight person, the classical “weekend warrior” that does Crossfit 3 days a week for 1 hour, will never need the same amount of carbohydrates than Rich Fronnig, yet everywhere he looks, he gets the message that he actually “needs” all the carbohydrates to perform. If you were to look at the person’s diet, most of the time one would find that he is already consuming more carbohydrates (as well as probably fat) than he actually needs. Very likely, what would improve more his performance, is reducing his body fat intake with proper diet, for which a well formulated ketogenic diet can be one of many other options to follow. So the message I want to convey here, is that not all people are going to be top level athletes, and that for the type of training most people are going to be doing (save some sports that indeed are more glycolytic), a well formulated ketogenic diet can help them perform well. And then, we must remember that one can also modify the diet as to include more carbs around training (there are some very metabolically flexible people that will still be in ketosis with 100g carbs a day). A ketogenic diet for sports should be a flexible, not a rigid approach. I always say “Earn your carbs”. Do you take any supplements? Like MCT oil, nutrients, performance-related supplements, etc.? I am a big advocate of “whole foods”, but also think supplements have a place, as to increase performance, recovery, or strength. As a pre-workout, I normally ingest what I call the “Ketogains Coffee” which is basically Strong coffee (and I add a caffeine pill, 200 mg), with MCT Oil (either the Oil or in Powder form, or one could substitute with Coconut Oil, although we know it’s not as effective due not being “pure” MCT), Creatine (the usual 5g); 1 to 2g of sodium (in the form of sea salt), and 5 to 10g dextrose. This is because I follow a TKD (Targeted Ketogenic Diet) approach. I use the dextrose as to rise a bit my blood glucose levels, and have more insulin around training as to inhibit protein breakdown. I will also add on some occasions, extra Protein in the form of a Whey shake (for MPS) to the coffee, as well as Citrulline Malate (6g) as to help with recovery / fatigue. Outside this Pre-Workout; I like to experiment every now and then with new or promising supplements or stacks, for example, Ketone Salts / Esters (which I do find they seem to help a bit with strength). I also use Vitamin D on a daily basis. What is a keto-related research question that you’d like to see answered, which has insufficient research right now? I would love to see more research into the actual energy needs between individuals who are starting a ketogenic diet, vs those who are fairly well adapted. We have all read about some cases on which individuals when starting a ketogenic diet, lose body fat at quite fast rates, even when in theory / reality consuming way past their calculated RMR/TDEE. “I’m involved in couple of projects. The paper with Anglian UNI is a caloric difference between control, KD athlete and KD athlete hypocaloric at 20% deficit. I’m also working with a colleague (he’s the brain doing the mathematical model) Weikko Jaross on calculation to extract the exact values of energy between carbs and fats (energy efficiency from carbs and fats substrate). So far we have observed that all the calculations in energy expenditures have been based on a carb model. Now, if you take an 18 carbon long fat and the 18 carbon long equivalent in carbs (3 x 6 carbon long), the fat will give you 120 ATPs at its worse. The latter, glucose(s) will give you 96 at best. All net. So you can see that already out of the same carbon numbers there is a substantial drop when using carbs. Now Weikko is working on transporting that in to mass/quantities. So far our assumption is that from any estimate involving caloric data like metabolism, exercise etc., people fully fat adapted on KD might require substantially less carbon to output the same ATPs therefore about 20-30% less the ‘normal’ glycolytic diets. We are still at sea with this but this could explain why I seem to require way less calories to maintain exactly the same morphometrics, glucose, ketones, HRV, etc. There seems to be a substantial difference in caloric ‘needs’ depending upon the substrate measured. For example, we have found that the number of carbons between FA (going though ß oxidation) is linearly correlated with the number of ATP generated (nothing new here) yet the type can have an influence on the outcome. Also the net ATPs yield per 2C is different if coming from different substrates. If we burn pyruvate and ßHBA in a calorimeter the energy (heat) yield for the latter is 31% more per each 2C(carbons). So def. there is a difference in fuel efficiency if coming from different source in this case carbs or fats or Ketones potentially having 3 different values. We are now trying to get some sense in relation to quantities to make it more practical and what actually means in terms of real application. Another point that we had to consider is that not all TCA (Krebb) cycles work the same and depending upon the health of the mitochondria we could have differences. Generally, we have noticed that people that have electron ‘permeability’ where electrons leaks out of the membrane, then people will need more calories (mass) to obtain the same performance. Inflammation is one of the major sources of electron transport chain and complex(s) efficiency. This could be (assumption) the case for people when adapting to an ENDOGENOUS ketogenic diet as the body at start may struggle to use either fuels optimally whilst making the transition. Once fully fat adapted (and in ketosis) then most people will require less calories (mass) for maintenance. Right now with the insight I/we have I’d say that optimally for maintenance I’d go 20-25% less from general calorie calculation. As a pure guidance. Then if someone notices decrease function (electron transport chain permeability, Krebb inefficiency) esp. in adaptation phases and high inflammatory response it will have to be adjusted with more food mass. Perhaps the number of mitochondria per cell plays in. On keto we likely have increased mitochondria per cell, and this may result in efficiencies. 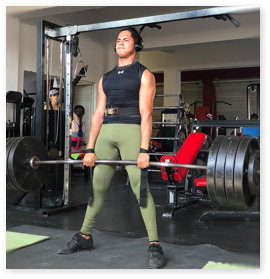 Luis founded Ketogains over 5 years ago, (despite having been following a ketogenic diet since 2001), after becoming dissatisfied with the overwhelming misinformation advice given in various low carb forums & groups based solely on anecdotes. His objective, evidence based approach has garnered him a special place among some the most serious, experienced and knowledgeable persons on Low Carb / Ketogenic dieting, and is the “go to guy” when applying a Low Carb diet for Bodybuilding and Strength Training. Luis has obtained a variety of fitness and nutrition credentials, and is also a sponsored athlete. *Additional pictures and graphics are not found in the original content. 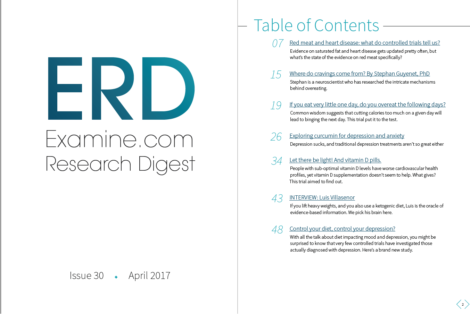 Examine.com is an unbiased nutrition and supplement resource. Not influenced by commercial interests, product manufacturers, or any other organization, they will not advertise products or brands. Examine.com does not accept donations, third-party funding, or sponsorship of any kind. One hundred percent of their revenue is generated through three products: the Examine.com Research Digest, Supplement-Goals Reference, and the Supplement Stack Guides.